Darrell K. Durant, well known in the music community as “Kleph Dollaz”, was the youngest of three children born April 27, 1972 to Johnnie and Daisy Durant in Frankfurt, Germany. His parents settled in Virginia when his father retired from the Army and Kleph graduated from Petersburg High School in 1991. Kleph, from his early years, had a passion for young people. Although he had no children of his own, many children looked to him as a role model. Kleph vastly committed his professional life to assisting young people in the area of self-development. He was an inspiration and father figure for many of them, his interest was in helping them to become productive and positive citizens for their communities. His impact and influence, in so many young people’s lives, was far reaching. He had a phenomenal and unusual way of reaching young people that others thought was difficult to achieve. He was genuine, real and candid in his efforts to reach some of the most challenging populations of young people. Their attitudes or actions did not faze him; he insisted that they do their best and settled for nothing less from them. Kleph was such a talented and skillful young man, everything he touched he had the fortitude and perseverance to master it. Kleph was born with music in his bones; his musical abilities were a God-given talent that set the stage for his life. He used his music to explore so many opportunities for himself in the music industry. His first major break was a record deal with Atlantic Records as the founding member of the recording duo Ill Biskits. 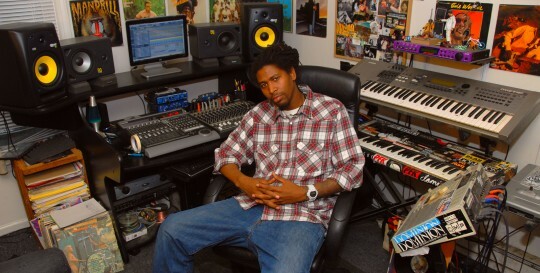 Kleph has produced music for the likes of Talib Kweli, Mims, Lloyd Banks and The Roots, as well as a slew of local artist. It was a God given talent that he shared with the world and a major part of his life. Kleph worked in the field of Youth Counseling for most of his career and was pursuing a degree specializing in Youth Behaviors at the time of his passing. When he wasn’t in the Klubhouse music studio, creating and producing master pieces, he was dedicating his time giving advice and mentoring in various ways with young people. Kleph knew the importance of creating a positive environment for children. When he was younger, he fell into the category of being labeled a “problem child.” No matter the gender or the race, Kleph made it a point to work with at risk kids so that they would not be subjected to this type of negative experience in their life. Kleph wanted to show children that through music, sports and various other forms of activities that they could create a positive outlet and make a difference in the world. His music sent impressionable, positive and effective waves through the atmosphere. His message through his music was motivating, encouraging and inspiring, especially for the young people. It was a message of relevance for the present day generation. After achieving the goals he had set for himself, Kleph realized that there was another calling on his life. He begin to listen and heeded to that call in 2009. Kleph responded to that call from God and he joined the Mt. Olivet Church (Richmond, VA) family and began to work out his soul salvation. With the same kind of passion and enthusiasm he had in other areas of his life, he used that kind of passion to serve in the sound ministry at MOC. Kleph loved people and had many friends. He was an avid skateboarder; he used the skateboard to fly. Kleph was a writer, performer, producer, rapper, and counselor. At Kleph’s untimely death on August 28, 2012, his family and friends made it their mission and vision to continue the legacy he had set in motion. The God’sMorning Foundation™ has been established as their way to honor his work and dedication to the community by providing various types of scholarships for youths pursuing their goals in making a positive impact on society.